Temple II at Tikal, which I was able to visit through my participation in the Programme for Belize Archaeological Project. For the past several months, I have been recounting my experiences in Belize last summer: when I participated in an archaeology field school and then traveled around on my own to learn about jaguar conservation. The last post in this series saw the end of the archaeological portion of my journey. 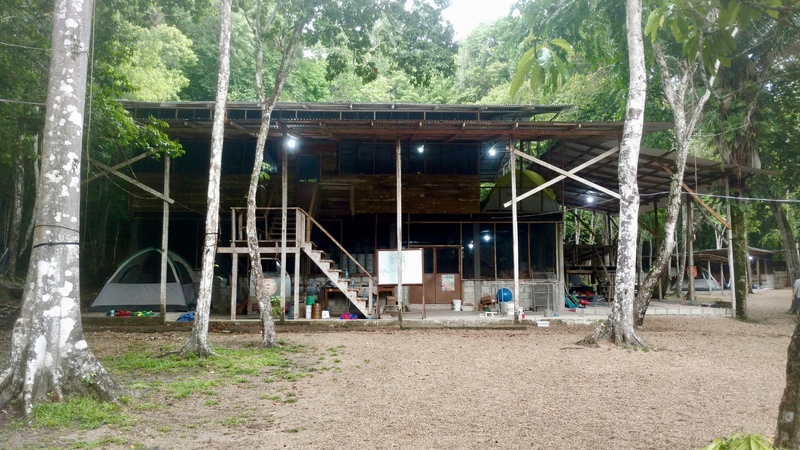 Before moving on to the next half, I would like to reflect on my time with the Programme for Belize and Dos Hombres to Gran Cacao archaeological projects (PfBAP and DH2GC, respectively). Before joining the PfBAP and DH2GC, I knew very little about archaeology – other than what I saw on popular television programs like Expedition Unknown. I now have a much better idea of what archaeology is actually like. What stood out to me the most was the precise and meticulous nature of archaeological field work; we took great pains to measure and document all of our excavations as accurately as possible. We were not there to rob tombs, but to generate detailed knowledge about the ancient Maya. But for me, archaeological field work went beyond science. To be among the first people to handle artifacts that had been buried for hundreds of years was a powerful experience. I felt that it connected me to the ancient Maya in an indirect but real way, and I am grateful to have had that opportunity. I felt most connected to the ancient Maya when I was able to handle fragments of a child’s skull at Texas Camp‘s field lab, shown here. I found no evidence that the Maya were consorting with aliens or had supernatural powers. What I did find were the material remains of an exceptionally clever group of people who knew how to make full use of the resources available to them. What the Maya could do with wood, limestone, fire, water, and other ‘basic’ ingredients was astounding. The scale and complexity of the stone temples at Lamanai and Tikal was mind-boggling, and I am astounded by the simple brilliance of Maya cement. The Maya will always have my respect. Despite leaving, I am not done with Belize. I will return one day: both for the archaeology and for jaguars. Seen here is the mask temple at Lamanai. Temple I at Tikal, as seen from atop Temple II. 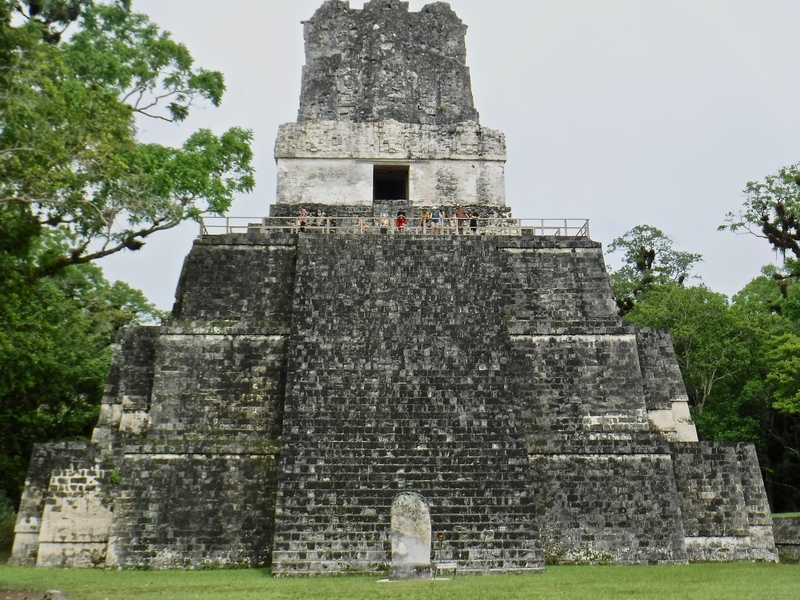 I wish that I had known more about Mayan archaeology before going to Belize. My project director gave us several articles to read before we left for Texas Camp, and I read most of them. I also read some additional literature that I located on my own. But I still would have liked to have done more research beforehand. Most of all, I wish I had been more present during my time in the archaeology school. I frequently allowed my concerns about the jaguar portion of my trip to distract me, reducing my ability to focus on the task at hand. I loved living in the Rio Bravo Conservation and Management Area. Yes it was hot, yes there were bugs, and yes it was dirty. But it was also magical. The daytime colors were dazzling, the nighttime chorus was soothing (except for the howler monkeys), and over time I became used to the discomfort. I would go back in a heartbeat. 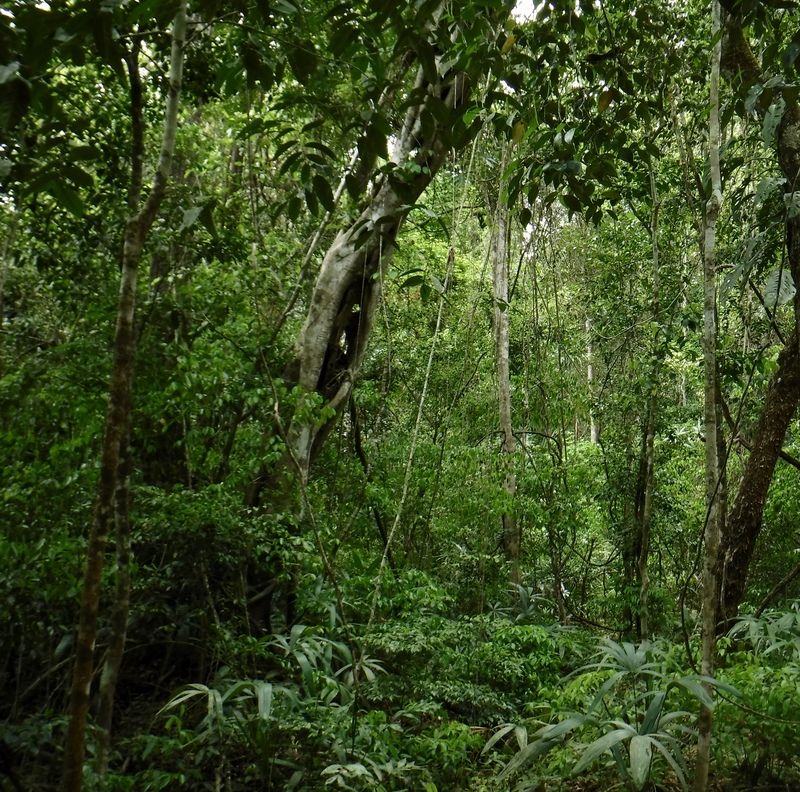 The sub-tropical rainforest of the Rio Bravo Conservation and Management Area was intensely beautiful. The most rewarding aspect of my time with the PfBAP and DH2GC was the people. Oscar, Luís, Miguel, Ms. Sharon, Danin, Alex, Mike, Morgan, Jonathan, Walter, Marisa, and many others; it was an absolute pleasure to meet so many wonderful people. I would love to do another field season with the PfBAP one day, ideally after my writing and photography skills have improved. Perhaps I will be able to publicize the PfBAP’s work in a more effective way than a series of amateur blog posts, although I do not know how realistic that possibility is. Unfortunately, I have no idea when I might be able to return to Texas Camp. My first priority is to finish my master’s degree, so that I can move forward with my life. After that, who knows what the future holds? Thanks Bloke! I’m happy to hear that you liked the post! What an amazing experience! One to archive in your memory bank for posterity. I think there’s so much to learn from other cultures and if everyone could share your insight and experience, the problems that plague this world would be less significant. I understand what you are saying about once getting acclimated to the environment makes it bearable. I’ll never forget my first summer in Alabama. My husband and I most have changed clothes 6-7 times a day. I never did so much laundry. And… the bugs. I was so marveled at the number that I collected the various species, tagged them and sent them to the grand kids in Colorado, with the assignment to look them up and label them. LOL I’m one of those granny’s. Great post! Thanks Jolie! I’ve sadly never been to the Southeast US, but I’ve heard that it’s similar: a climate that seems uncomfortable at first but becomes more likable as you get used to it. We really do need to encourage more cross-cultural learning. It makes for much wiser, tolerant, and understanding individuals. You had a special experience very few can hope to have. Congratulations! It was indeed a special experience, and one I’m very grateful for! You seem to have had a very interesting time. The Mayans are fascinating and I have read that there are a huge number of overgrown sites yet to explore. Oh yes, we’ve only touched the proverbial tip of the iceberg when it comes to understanding the Mayan world.